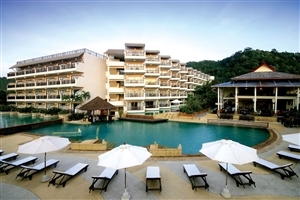 Krabi La Playa is an intimate and beautifully-appointed resort located just 150 metres from the pristine sands of Ao Nang and Nopparat Thara beaches. 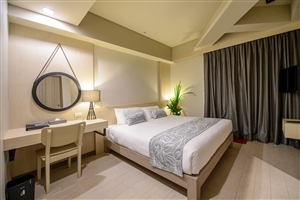 Soak up the peaceful atmosphere when you stay at Krabi La Playa, where many of the 79 guestrooms look out over the calming blue waters of the Andaman Sea. 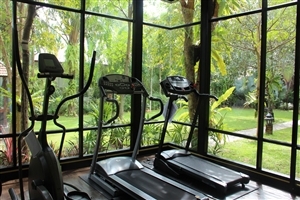 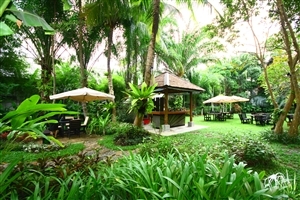 Take advantage of fine facilities and ample amenities available at Krabi La Playa, where lush tropical gardens, two fine restaurants and a swimming pool will delight. 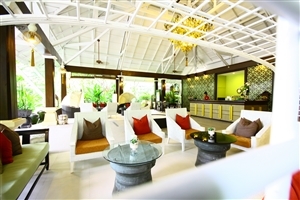 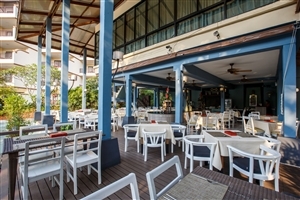 Surrounded by two acres of landscaped gardens the Krabi La Playa Resort is in the Ao Nang area and just a short walk to the beach, shopping and entertainment areas. 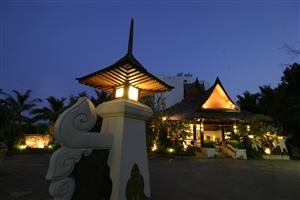 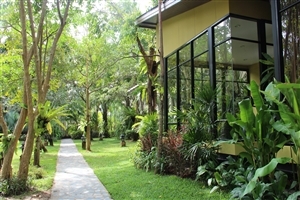 The modern Thai style rooms are split between three wings with the Pool Side Deluxe rooms giving direct access to the large swimming pool with its own swim up bar. 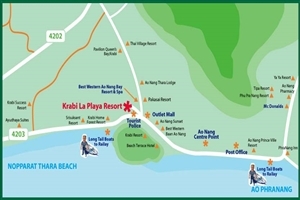 The Superior rooms at Krabi La Playa offer 46sqm of accommodation space and a generous array of standard amenities. 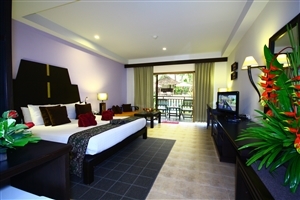 The Premier rooms at Krabi La Playa offer 39sqm of accommodation space that brings plenty of comfort and style together, showcasing views of the mountains or pool area. 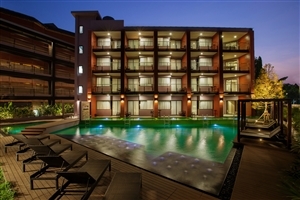 The Deluxe Premier rooms at Krabi La Playa offer 47sqm of accommodation space fitted with a myriad of modern amenities and come with garden or mountain views. 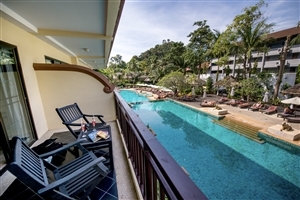 The Premier Pool Access rooms at Krabi La Playa offer 39sqm of accommodation space that grants direct access to the swimming pool for a convenient experience. 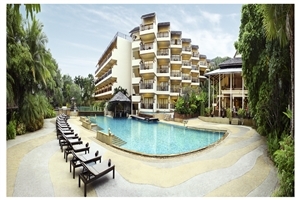 The Deluxe Pool Access rooms at Krabi La Playa offer 48.5sqm of accommodation space that grants direct access to the swimming pool for a convenient experience. 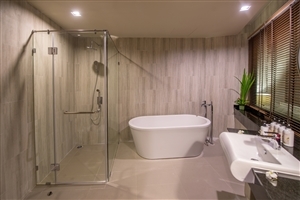 The Deluxe Pool Access with Jacuzzi rooms at Krabi La Playa offer 48.5sqm of accommodation space that features a soothing Jacuzzi and grants direct access to the swimming pool for a convenient experience. 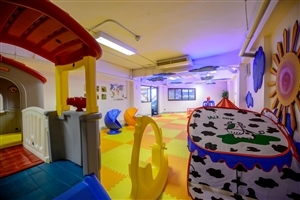 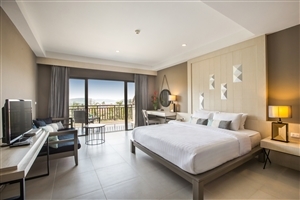 The Family rooms at Krabi La Playa offer 77sqm of accommodation space that provides plenty of room to roam and comes with a spacious living area and two bedrooms. 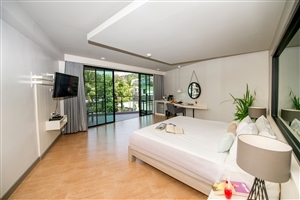 The Family Pool Access rooms at Krabi La Playa offer 77sqm of accommodation space that provides plenty of room to roam and comes with a spacious living area and two bedrooms as well as direct pool access. 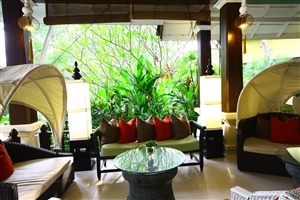 Private dining is also possible with our dedicated room service option between 7am and 10pm.